Opening Hours The Opening Reception is Friday, March 1, 2019 from 5-8 pm with 95-100 original ready-to-hang paintings for sale, plus wine, food and the fellowship of other art enthusiasts. Opening Days The Gallery is open Weds-Sat, 10 am – 4 pm, Sun 12-4 pm, and is free to the public. 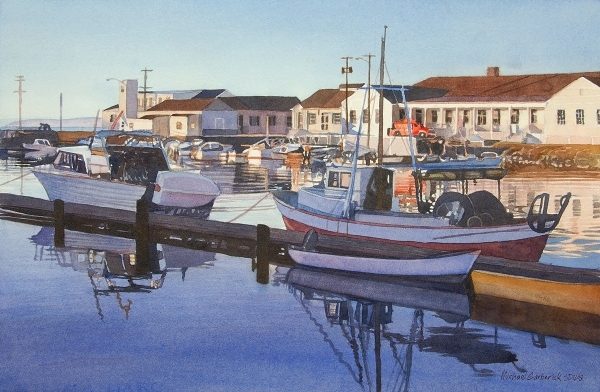 Event Description The San Diego Watercolor Society presents “Understanding Surfaces,” an art exhibition juried by award-winning artist Nancy Oleska. The exhibit runs 2/24/2019 through 3/30/2019 at our Art Gallery in The ARTS DISTRICT Liberty Station. The Opening Reception is Friday, March 1, 2019 from 5-8 pm with 95-100 original ready-to-hang paintings for sale, plus wine, food and the fellowship of other art enthusiasts. The Gallery is open Weds-Sat, 10 am – 4 pm, Sun 12-4 pm, and is free to the public. Visit www.sdws.org for more information and to view our Online Gallery.